Never been to a Nascar race. So freakin' loud. It was a very cool setting though. 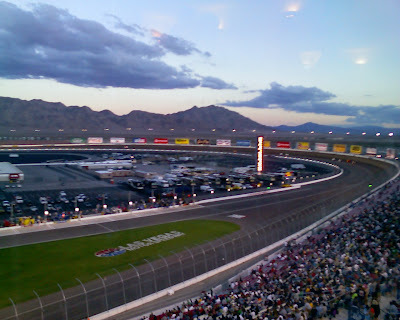 About 10 min from the strip with some beautiful mountain behind the track. These events are so huge. The scale of the production was massive. So many staff, all with big headsets. I have no idea how massive their Comm center had to be to pull this off.